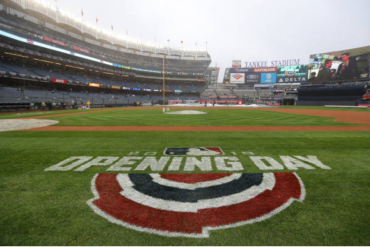 The year 2019 means a year ending in nine for the New York Yankees. Some of them ended in triumph, others in tragedy. A final title for the core four. A team crowned team of the decade, most successful franchise of the century. We said hello and goodbye to captain Thurman Munson. Goodbye to the Iron Horse and the end of a quartet of consecutive titles. Hello to the OL’ Perfesser and the ushering in of the longest consecutive run of championships (five) in baseball history. Only time will tell if the 2019 squad will have a special season. Below, we take a look back at the years ending in nine. Still, a second division squad, the New York Highlanders went 74-77 and finished in fifth place with George Stallings at the helm. Starting Jack Warhop paced the team with a 4.3 WAR and boasted a 2.40 ERA. Outfielder Clyde Engle topped the club with 137 hits. The fortunes of the Yankee franchise began to take a turn for the better under the stewardship of Miller Huggins. Boasting a mark of 80-59, that squad finished in third place. Shortstop Roger Peckinpaugh‘s 6.3 WAR topped the club, as did his .390 on-base percentage. On the pitching side, Bob Shawkey tossed 22 complete games, won 20 games and fanned 122. The stock market crashed and after winning two consecutive titles, the Murderers’ Row filled roster took a dip as well. Huggins wouldn’t finish the season because of illness and died in September. Those Yankees went 88-66 and finished in second place. Babe Ruth slugged 46 home runs. boasted a WAR of 8.0 and an OPS of 1.128. Lou Gehrig swatted 35 home runs. Tony Lazzeri batted .354. Rookie catcher Bill Dickey posted a .324 batting average. Yet, the pitching was not quite as stellar. The first dynasty of the Silent Generation, “Marse Joe” McCarthy’s club earned its fourth consecutive World Series title. The Yankees were 106-45 and swept the Cincinnati Reds, 4-0. A dying Gehrig would deliver his “luckiest man” speech, perhaps the most famous in baseball history. Joe DiMaggio topped the Bronx Bombers with an 8.1 WAR and cracked 30 home runs. Joe Gordon smacked 28 home runs. Red Ruffing tossed five shutouts, 22 complete games, pitched to a 2.93 ERA and won 21 games. The first dynasty of the Baby Boomers. First-year skipper Casey Stengel would guide his Pinstripes to the first of five consecutive World Series titles. The Bronx Bombers went 97-57, turned back hard-charging Boston Red Sox at the end of the season and defeated the Brooklyn Dodgers, 4-1. Much as the 2009 squad listed below did, this team celebrated its share of walk-off victories, including eight during the regular season. Despite being slowed as part of a hobbled lineup DiMaggio’s 4.4 WAR and 1.055 OPS topped the Yanks. DiMaggio also made his famous “I want to thank the Good Lord for making me a Yankee,” speech. Old Reliable Tommy Henrich socked 24 home runs and won Game 1 of the World Series with a 1-0 walk-off home run. A stellar staff of Vic Raschi, Eddie Lopat, Allie Reynolds, Tommy Byrne and Joe Page, helped carry New York. Dr. Bobby Brown hit .500 in the Fall Classic. 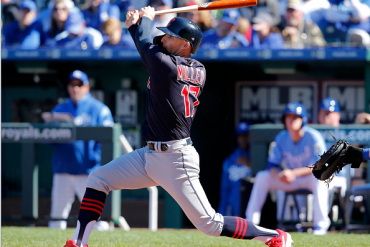 A run of four straight AL Pennants came to a close for the defending champs in the only season in which they won less than 92 games during the decade. With Stengel still at the helm, these Yankees went 79-75 and finished in third place. Mickey Mantle swatted 31 bombs. By 1969, Mantle was gone but there were some signs of promise despite a dismal year. Under “the Major,” Ralph Houk, New York finished at 80-81, fifth place in the AL East. Mel Stottlemyre led the squad with a 6.1 WAR, earning All-Star honors with 20 wins, a 2.82 ERA and 24 complete games in 303 innings. Roy White was also an All-Star with a team-leading .818 OPS. 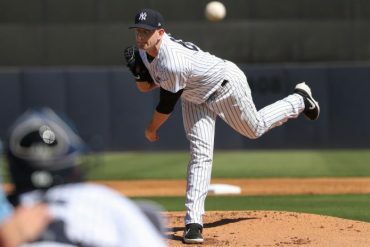 Munson also made his Yankees debut, appearing in 26 games. Following a run of three straight AL Pennants and two consecutive World Series titles, 1979 was a down year in more ways than one. Under Bob Lemon and Billy Martin, New York was 89-71, fourth in the AL East. Munson would perish in a plane crash. It was also the final season in pinstripes for White and Catfish Hunter. Ron Guidry topped the club with a 6.5 WAR and 201 strikeouts. Reggie Jackon cracked 29 home runs. 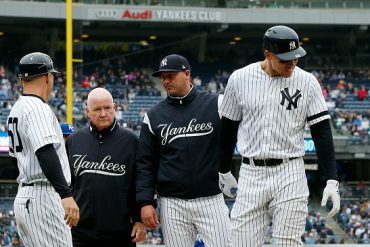 The 1980s remain the last, most recent decade without a title (hint, hint, 2019 team) and under Dallas Green and Bucky Dent they went 74-87 and finished in fifth place in the AL East in 1989. Don Mattingly wrapped 23 home runs and boasted a .828 OPS. The Yankees said hello to Jesse Barfield and adios to Rickey Henderson. The pitching was abysmal. Party like it’s 1999. 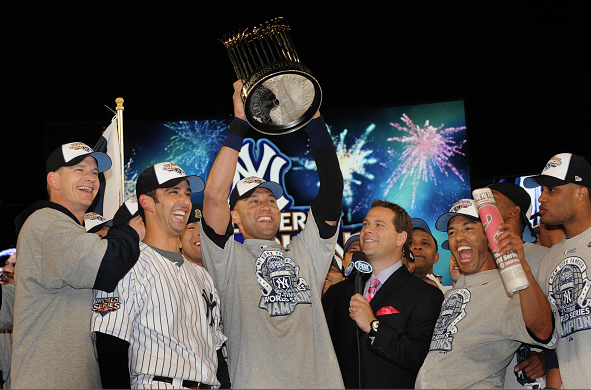 In the midst of a three-peat, Joe Torre‘s Yanks cemented themselves as the team of the decade and most successful franchise of the century. The defending champs went 98-64, 11-1 in the playoffs, sweeping the Texas Rangers 3-0, dismantling the Red Sox 4-1 and lowered the broom on the Atlanta Braves, 4-0. After DiMaggio passed away, the team honored him by wearing his No. 5 on their uniform sleeves. Eight players in the lineup reached double digits in home runs. David Cone twirled a perfect game against the Montreal Expos. Derek Jeter set a then-franchise record for shortstops with 24 home runs. Bernie Williams clubbed a walk-off home run in the ALCS against Boston and Orlando “El Duque” Hernandez earned ALCS MVP honors with a 1.80 ERA in two starts, fanning 13 in 15 frames. 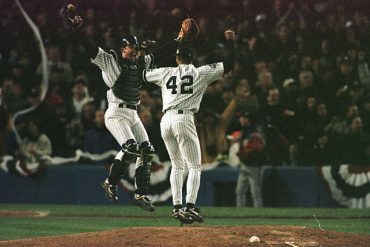 Future Hall of Fame closer Mariano Rivera placed an exclamation point on a regular season which saw him pitch to an ERA of 1.83 with 45 saves, by earning the World Series MVP, tossing 4.2 scoreless frames in three games against the Braves. A new house was christened with a title. 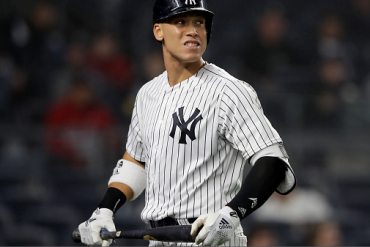 Moving across the street with the core four intact and some new mercenaries, Joe Girardi‘s team went 103-59, restoring New York to the top of the baseball world. It was also a year of wild walk-offs and pies from A.J. Burnett and Nick Swisher. Jeter batted .334. Mark Teixeira slammed 39 home runs and was second in AL MVP voting. CC Sabathia led the staff with 19 victories and earned ALCS MVP honors with a 1.13 ERA in two starts against the Los Angeles Angels. Rivera, Phil Hughes and David Robertson were lights out in the pen. Alex Rodriguez came up clutch with six home runs throughout the postseason against the Minnesota Twins, Angels and Philadelphia Phillies. Andy Pettitte won the clincher in all three rounds of the playoffs. Hideki Matsui went out with a bang, earning World Series MVP honors with a 2.027 OPS. During the Game 6 clincher at Yankee Stadium, Matsui became Pedro Martinez‘s daddy, smacking a home run and tying a single-game World Series record by plating six runs.